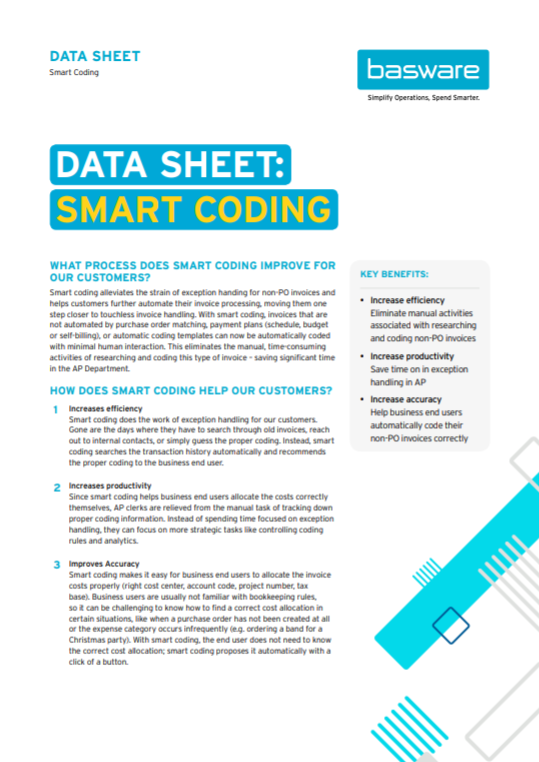 What process does Smart Coding improve for our customers? Smart coding alleviates the strain of exception handling for non-PO invoices and helps customers further automate their invoice processing, moving them one step closer to touchless invoice handling. What are the key benefits of smart coding?